INDIANA - The Indiana Interchurch Center will name its first central Indiana high school student recipient of the Alpha & Omega Prize for Young Artists on November 12, 2011, but first they are spreading the word to congregations, schools and arts organizations to help identify the best in the region's multi-faith talent. The A&O Prize, a $750 scholarship for the winners of an interfaith arts competition is part of the 16th annual Spirit & Place Festival and run collaboratively by Indiana Interchurch Center, the Center for Interfaith Cooperation and Alpha & Omega Project for Contemporary Religious Arts. It gives high school students the opportunity to explore inter-religious themes through visual art. This first year’s exhibition & competition title, Beyond Dead: A Student Response will showcase the art work from central Indiana high school students, both those attending private and public schools. The title, Beyond Dead was selected in response to the Spirit & Place Festival's 2011 theme, The Body. Mel Jolliff, executive director of Indiana Interchurch Center formed this partnership to harness the power of the arts to connect Indiana communities of faith and to respond to the social needs of Indiana youth. 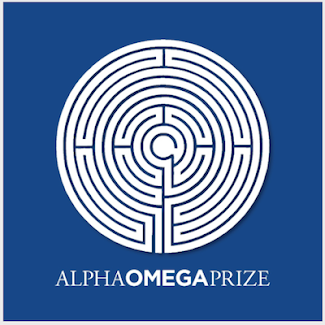 Ernest Britton, director of the Alpha & Omega Project for Contemporary Religious Arts, said the A&O Prize is an expression of the deep and abiding relationship between the visual arts and religious beliefs. Entry forms and more details for the fine arts competition are available onsite at the Indiana Interchurch Center's main office at 1000 West 42nd Street, Indianapolis or online at http://www.alphaomegaarts.org/. Space at the IIC gallery is limited so registrations are currently being accepted for all entries at aoprize@alphaomegaarts.org or 317-755-8400. The exhibit will run from November 1 through December 31, 2011.